Hexagonal Metal features a hexagonal body, a circular cross-hatch metal grip, and a sturdy metal clip. 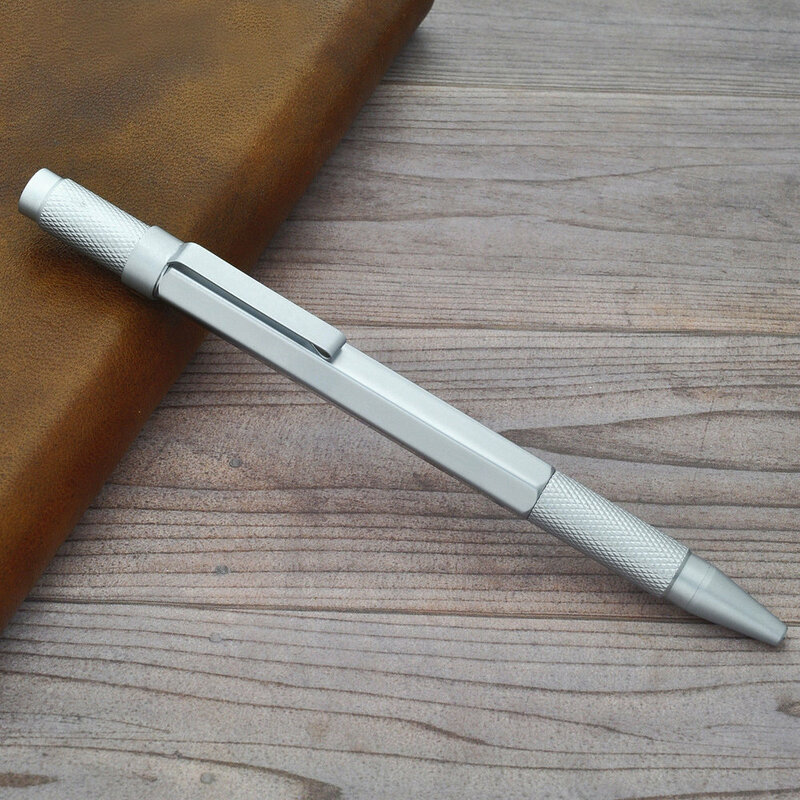 Not only giving a comfortable feeling when using, hexgagonal ballpoint pen also stands out from others because of the durability throughout the time. Hexagonal shape is known as an innovation in the design of writing instruments. The six-angle look makes the pen stand out from others by creating three-dimensional effects from the first sight. Weight: 30 g / 1.18 oz approx. We offer international warranty covering defects in material or workmanship up to one year from date of purchase. Click here for more information. We accept returns of unused items up to 30 days from purchase for a full refund or exchange. Click here for more information. We are committed to bringing the best products and services to you. Wherever you are and Whenever you need us, please feel free to let us know. Click here to contact us.